Projecting warmth and understanding how social media can help. Strategies for staying relevant and marketable in your later career. Are you over 50 and in the job market? Do you feel past your expiration date each time you interview with someone half your age? As people live longer, healthier lives, their desire to stay productive and continue to contribute has resulted in a sizable population of baby boomers in the workforce coexisting with an equally large group of millennials. What job seekers assume is age discrimination is often a lack of relatability. In fact, studies have shown that people hire people they feel they have something in common with so it’s no wonder that ageism is a real factor in the job market when candidates and hiring managers may be decades apart not only in age but their cultural experiences. 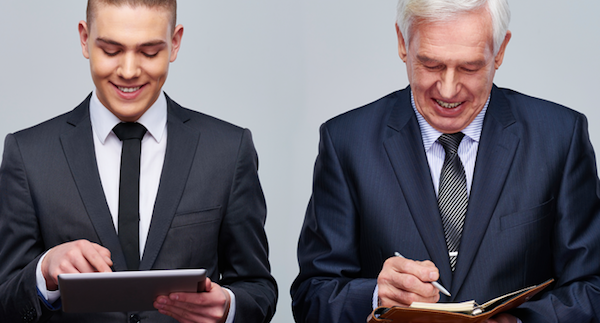 Some over 50 job candidates perseverate on the legal angle of age discrimination. Whether ageism as a hiring practice is illegal or not, is beside the point. Most interviewers are savvy enough not to ask blatantly discriminatory questions. Realistically though, launching a lawsuit against a potential employer or getting angry and indignant is unlikely to result in landing the job you desire. So, what’s a boomer job seeker to do? Here are several strategies to consider when marketing yourself if you’ve been in the workforce 25 years or more. Know Your Value-In his recent article in Harvard Business Review; Chip Conley talks about his experience joining Airbnb at the age of 52, more than two decades older than the CEO and senior staff. He makes the point that experienced workers have years of knowledge dealing with a variety of business scenarios from scaling revenue to retaining customers to funding challenges to building teams. This knowledge base can be a tremendous asset to organizations with a less experienced management team. Before applying for any role, research the challenges your target employer might be facing and clarify your value proposition so that you can confidently articulate it. For example, if you are interviewing with a start-up tech company that is looking for funding, you might share a story of how you helped a previous employer with their pitch deck. Stay Relevant-The pace of change in certain industries is very rapid, particularly in high-tech and biotech. Make sure your skills are up-to-date. If you programmed in C++ ten years ago, are you up-to-speed on Python, Java or Ruby? If you’re a marketing guru who helped consumer product companies grow their brands, have you kept pace with marketing analytics or social media? Be Social-Did you know that 96% of employers use social media as a primary recruiting tool? Many late career professionals are uncomfortable with technology because they didn’t grow up with it. Gen Y’ers, on the other hand, have totally integrated technology in their lives. One of the best ways for a boomer to relate to a millennial is through the use and appreciation of information sharing technology. You don’t have to spend months learning Instagram, Twitter, Facebook, etc. but for job-seekers, using LinkedIn is a must! Recruiters and hiring managers will check out your LinkedIn profile as a matter of course. If you don’t have a profile, you are inadvertently branding yourself as a dinosaur. Update Your Appearance-Since relatability is a major factor in hiring, dressing in a more contemporary manner can help. This doesn’t mean that you should dress like a 25-year old, but you do need to pay attention to your appearance. For example, if Bill Clinton was President the last time you bought new eye glasses, it’s time for a new pair. Women, if you love your suit with shoulder pads from 1989, keep them in your closet. If you’re not sure what to wear for an interview, ask the recruiter, your millennial child, niece or nephew. Project Warmth-Like it or not, studies show that interviewers form opinions about job candidates within seconds of meeting them. This is why first impressions are so important. Your goal is to project openness, interest, and enthusiasm. Younger interviewers may incorrectly assume that mature workers lack energy. It’s important to give the impression that you’re ready to hit the ground running and not winding down. Leverage Your Network– More than 70% of job seekers land their new job through a networking contact. When you apply online, the average age of the recruiter (assuming your resume makes it to a person) is somewhere between 28 and 32. The goal of the recruiter is to eliminate the number of applicants to a manageable few, and they may pass you over if they think you’re overqualified or too expensive. Organizations much prefer to hire individuals who have been referred to them, and if your internal contact can vouch for your capabilities, you can circumvent the black hole of online recruiting systems and get to the hiring manager. Age discrimination is real, and there is no way to sugar coat it. If you are realistic in your expectations, willing to be flexible and go about the process with an open mind and curiosity, you are likely to be working well into your 60s. Do you have any tips that have worked for you? Please share them! For more advice on how to stay relevant when you’re over 50, download my free ebook, 25 Tips for Making a Successful Career Transition here. Originally published at https://www.linkedin.com on April 25, 2017. Susan Peppercorn is an executive and career transition coach and author of the bestselling Ditch Your Inner Critic At Work: Evidence-Based Strategies To Thrive In Your Career. Grab a free copy of her Career Fit Self-Assessment by clicking HERE.